Not all online translation services are created equal. Some will translate your spoken words into text, translate that text into another language, and then finally speak the translation in the other language. Others are less detailed and are better for simple word-to-word translations or website translations. 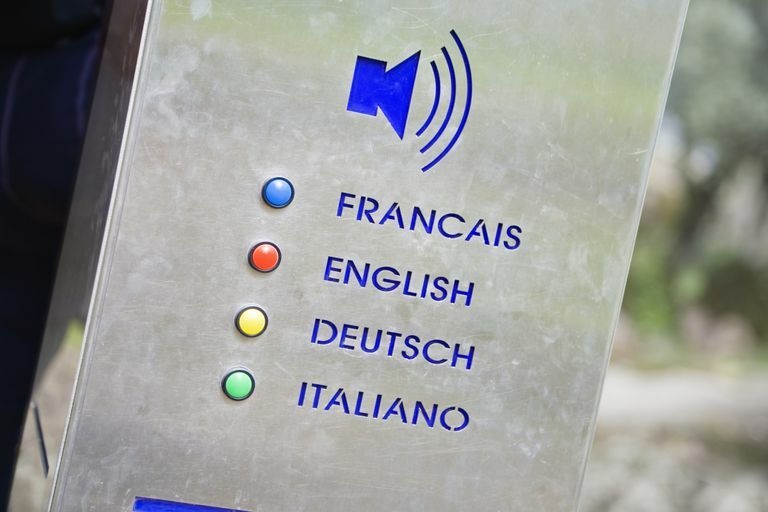 Here are the best sites to help you translate from one language to another. Google has as online translator website called Google Translate, and it's the best one out there. If you try only one translator site, make it be this one. In short, Google Translate is awesome for learning a new language and looking up single words or phrases to see how they appear or sound in another language. it also works surprisingly well if you're needing to speak with someone when neither of you can understand the other language. One of the best features of Google Translate is its ability to take any text you throw at it and accurately determine what language it's in, and then instantly put it into a language you can understand. This is great if you don't know the originating language; it beats clicking through every one of them until the translation works. If the instant mode is turned on, you can just type and watch the translation appear off to the right. This is awesome because you avoid having to click that Translate button each time you type. You can type text, speak it, or use an on-screen keyboard. For the output side, you can have the translation read back to you in the translated language, which is not only helpful if you're trying to learn the language, but also super beneficial if you're with someone in person and they can't read the language well, but can understand it when spoken. Any word you highlight in the input text box shows definitions, example sentences, and translation information. You can click those terms to instantly add them to the translation box, which provides a dictionary-like way of learning a language. Yandex Translate is an absolute beast. It translates between lots of languages, works very quickly, looks great, and doesn't stop at just normal text translations. You can also use it to translate entire websites and even to translate images. This translate website is really helpful for one-time lookups but is also nice to use for learning a new language. When you translate a website, you can position the foreign page right next to the one in your language so that you can learn which words are being translated to what, and the translations even continue as you click through the site. If you're using the image translator, you can zoom way up if you have to and even highlight specific words to be translated. For example, you can select just one word to get that translation or select the whole image to have everything translated. Swapping to a different language during the translation doesn't force you to re-upload the image, which is great. Another online translation service is available at Reverso. Like Google Translate, it can translate between languages automatically and supports several of the more common languages. Something worth mentioning about the Reverso translation website is the context translations they offer. After performing a translation, just below the translated text is a box of a few more examples of how that translation might look if the input text was slightly different. For example, translating "My name is Mary" to French gives the regular answer of "Mon nom est Mary," but you can also see translations for "My name is Mary Cooper and I live here" and "Hello, My name is Mary, I'll be with you till you go on this evening." Like some other translator sites, Bing Microsoft Translator offers an auto-detect feature for those times you can't guess the language you need to translate. What makes this translator website different is its simplicity: there's next to nothing on the screen yet it still works great. The ability to change the voice used to speak the input text or translated text is a really neat feature you shouldn't overlook. Some people can only grasp words if they're spoken with a certain accent, or prefer to learn new words in their own accent. Most of the languages in the Bing translator can be spoken in various accents. For example, if you're translating something into English, you can have the words spoken with an Indian or Australian accent if you prefer. You can also swap between a male and female voice. Aside from those unique features, the Bing translator is basically the same as any other translator website. However, it does work with lots of common languages and is very, very easy to use for anyone. Another language translator, SYSTRAnet provides not only a text translator but also one for files. Just upload a document, such as an MS Word DOCX file, and then re-download it when the translation completes to get your document in the new language. This translator is perfect for translating your resume or reading foreign documents, like help manuals, in English or your native language. The SYSTRAnet translator is super helpful considering that most translation sites only let you translate text via copy/paste. However, with this one, you don't have to copy everything out of your resume, for example, and then paste it on the website for conversion only to have to then paste it back into your resume. Just upload the file to have all of it translated; even the formatting will stay the same. As the name would suggest, Internet Slang Translator is more for fun, not practical use. Just type some words you want converted into slang, or enter internet slang to translate it to proper English. While you might not use this translator site for anything realistic, it can still be fun to see what it comes up with as you type slang. Then again, maybe you're new to some internet terms, in which case it might help you get a feel for what all the kids are talking about.